As Several Latin American Governments Lead Charge Against Fracking, Will Colombia Follow Suit? With officials in Colombia grappling with the reality of dwindling oil reserves, fracking has become central to the energy conversation. A balance needs to be struck between environmental and economic needs as a path to energy self-sufficiency is drawn out. Compared to conventional oil drilling, fracking requires greater investment and brings greater risk. This is exacerbated due to its controversial nature. Environmentalists in Colombia have campaigned heavily against the drilling practice with protests likely to only intensify in 2018. One Yale University forum provides a global platform for multiple perspectives and analyses of the environmental and social impacts of fracking. On the pro-fracking front, many experts champion fracking for job creation and meeting energy demands. On the other side of the fence, many emphasize the negative impacts on the environment. Platforms such as these provide lessons for the motivations behind hydraulic fracturing regulation. In the context of Latin America, and in particular Colombia, which is in the exploratory stage of unconventional drilling, these lessons are extremely pertinent. While some countries, notably Canada, China, the United States, and Argentina, have managed to produce commercial volumes of oil and gas from fracking, the practice in Colombia remains at a crossroads. Politicians have been increasingly debating fracking’s economic potential as the country’s May presidential election nears. Many are worried that with declines in conventional oil production, Colombia could become extremely reliant on imports of oil and other fuels in the coming years. Politicians and oil executives have been seduced by fracking’s potential fix, strongly advocating for fracking with a rhetoric that champions energy self-sufficiency. In 2014, Colombia’s Ministry of Mines and Energy gave fracking the green light, pending environmental reviews. At the end of 2017, Colombia hosted the Colombian Petroleum Association and attracted investors and oil companies from all over the world. A major topic of discussion at the convention was the final bypassing of restrictions to definitively pave the way for fracking in the country. Four major oil multinationals, ConocoPhillips, Parex Resources, ExxonMobil, and Drummond, have all won tenders for fracking in Colombia and now await the final blessing from President Juan Manuel Santos. Juan Carlos Echeverry, former head of Colombia’s largest and primary oil company Ecopetrol, has insisted that production from fracking is essential. He suggests that Colombia’s oil production could rise from 100,000 barrels a day to as much as 400,000. A change in leadership in Ecopetrol has not shifted this outlook. Current CEO Felipe Bayón Pardo emphasizes the fracking potential in Colombia’s Magdalena Medio region, from which oil companies could extract between 2-7 billion barrels of unconventional oil. Pardo underscores the argument of self-sustainability, suggesting that the county’s reserves will double if only 2 billion barrels of oil are extracted from this region. For Pardo, the company’s number one priority is increasing production, and this will only be made possible with fracking. With Colombia’s legislative and presidential campaigns well under way, fracking has become a central political question. At the beginning of March, presidential candidates discussed the future of fracking in a debate hosted by the National Business Association of Colombia (ANDI) on the topic of minerals, petrol, and energy. Candidates Germán Vargas Lleras, Iván Duque, and Juan Carlos Pinzó all attended. 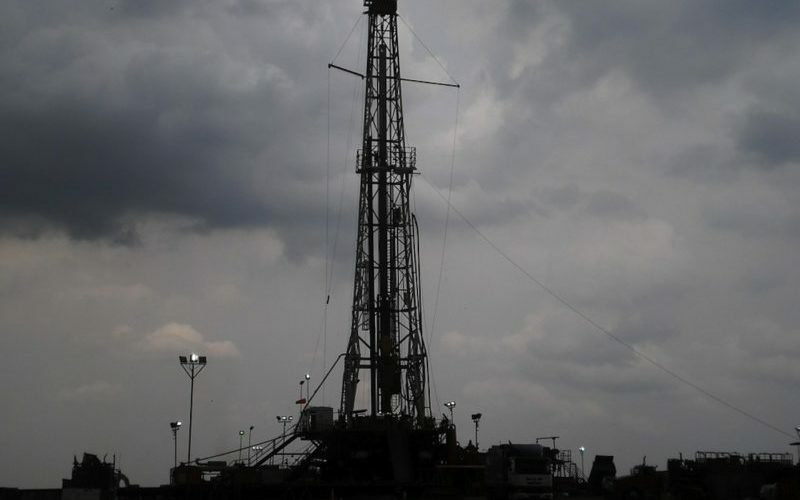 The views expressed by Lleras, Duque, and Pinzó, while only offering a snapshot of the opinions of the political class, highlight how connected the question of fracking has become to economic prosperity and national development. Fracking as a means to ensure self-sustainability in a fragile geopolitical landscape has become one of the most prominent lines of argument. All the while, environmentalists rally behind a call for restraint. Activists are continuously protesting the environmental impacts caused by fracking. A recently suspected water contamination in the Colombian Department of Cesar led to a plea for an investigation into the culpability by energy multinational ConocoPhillips, following the company’s exploratory drilling tests in the region. In the last few years, authorities in several Latin American countries, with Brazil and Argentina leading the charge, have issued ordinances to either prohibit fracking or implement moratoriums on the practice. Many Colombian politicians are championing such policy measures. However, others consider such regulation a gross miscalculation due to its neglect of a potential economic bounty. The debate surrounding fracking in Colombia is moving rapidly, and the result of the presidential elections will most certainly mark a significant turning point in the conversation. Officials must be open to absorbing multiple lines of argument when considering regulation in order to best address the country’s trying energy needs, while also respecting very real environmental concerns. Previous articleWhen Diplomacy Loses: Are Israel and Iran On The Path to Escalation?